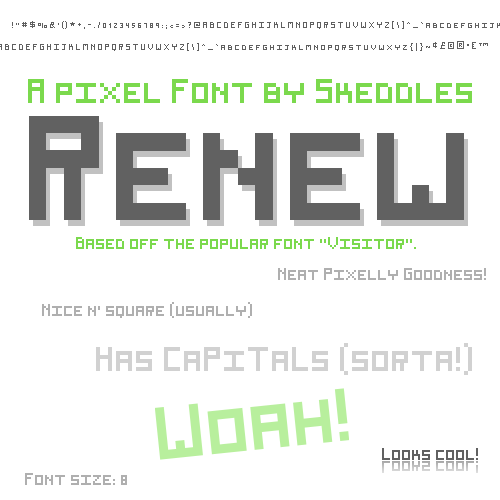 A pixel font based on another pixel font. All my fonts are free for personal and commercial use. If you use it I'd love to see.